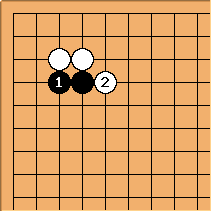 Black weakens his own marked stone and creates bad aji in the position with this amateurish, vulgar, Ja-Choong Soo move. 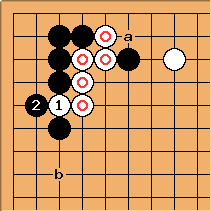 White completely spoils the effect of his shoulder hit by allowing black to Hane at the Head of Two Stones, giving black an easy to attack group. 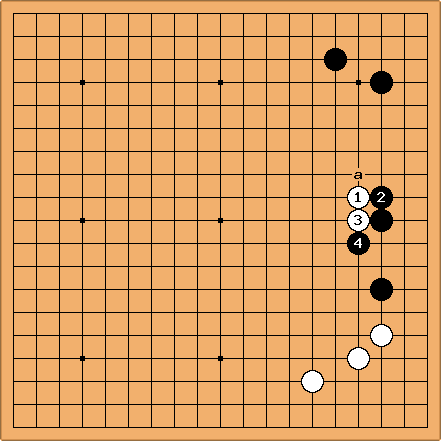 Once again black's Ja-Choong Soo move allows white to Hane at the Head of Two Stones, giving black a horrible local position. 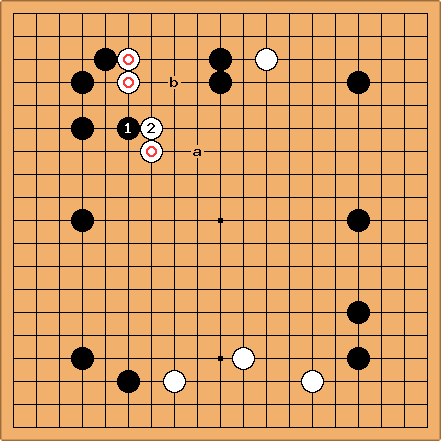 The - exchange removes a liberty of the marked group, which can come in crucial if Black descends to a. Moreover it reduces the aji of the standard placement at , which comes to life when there is a white stone at b. Instead of strengthening his own pincered stones with a or b, Black plays from his strong stones to strengthen White's weaker stones. This is large scale ja choong soo. 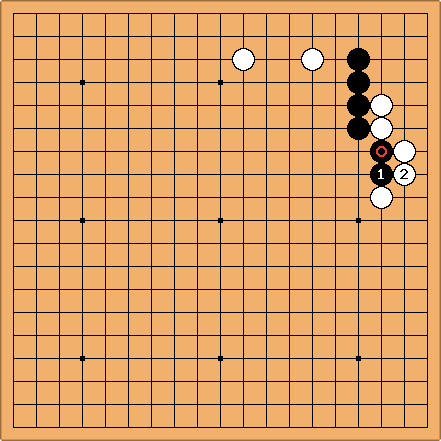 And he persists, giving useless extra strength to his already strong corner, White becomes powerful at the top.